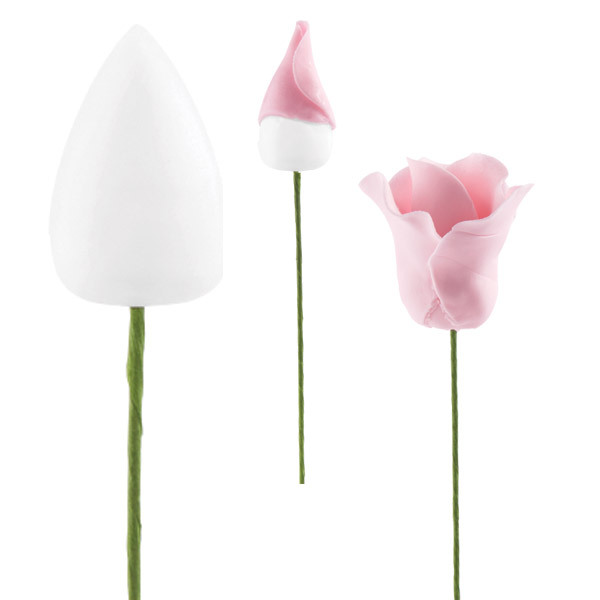 Plastic bases let you wrap around a strip of gum paste to form the perfect rose base. Bottom opening for adding florist wire. Includes 12 each 1 x .5 in. and 1.125 x .75 in.